A few weeks ago, I was approached from Jesse over at the Fat Quarter Challenge about making a project for the site’s challenge. I like working with fabric, and I always like a challenge, so of course I said yes! For the Fat Quarter Challenge, Jesse sends participants a packet that contains a fat quarter of fabric and a few notions. Participants use all the objects and put their own creative take on them. Want to see what I made? 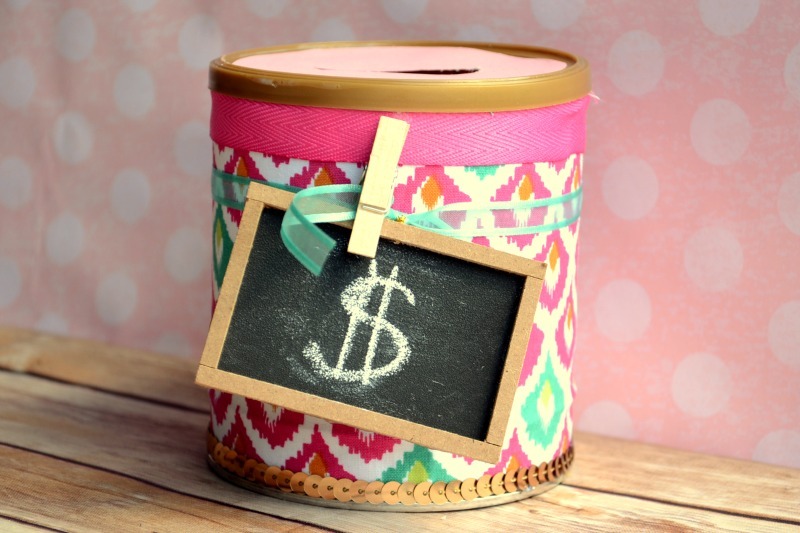 A repurposed, upcycled Formula Can Piggy Bank! 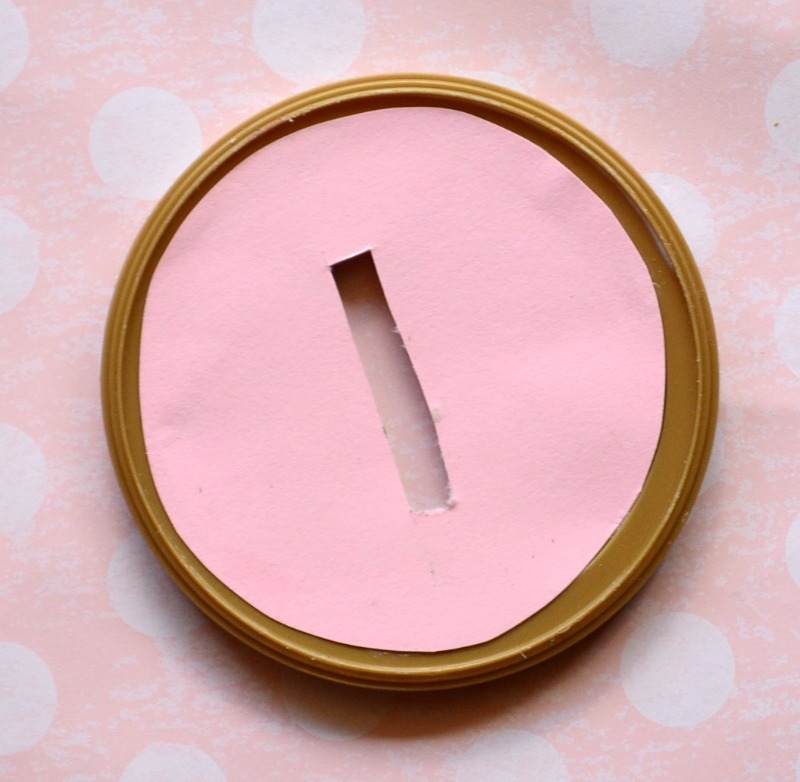 Begin by covering the formula can with the fat quarter, using hot glue to hold it in place. 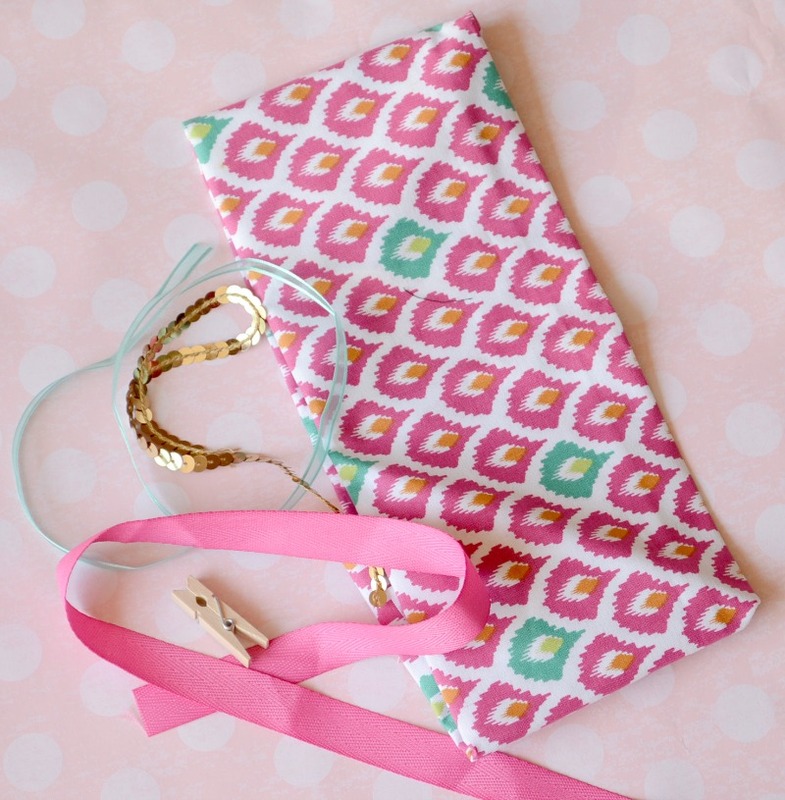 Use ribbon and sequins to cover the rough edges of the fat quarter. Hot glue in place. Now prepare the lid. Cut a slit in the top of the plastic lid. 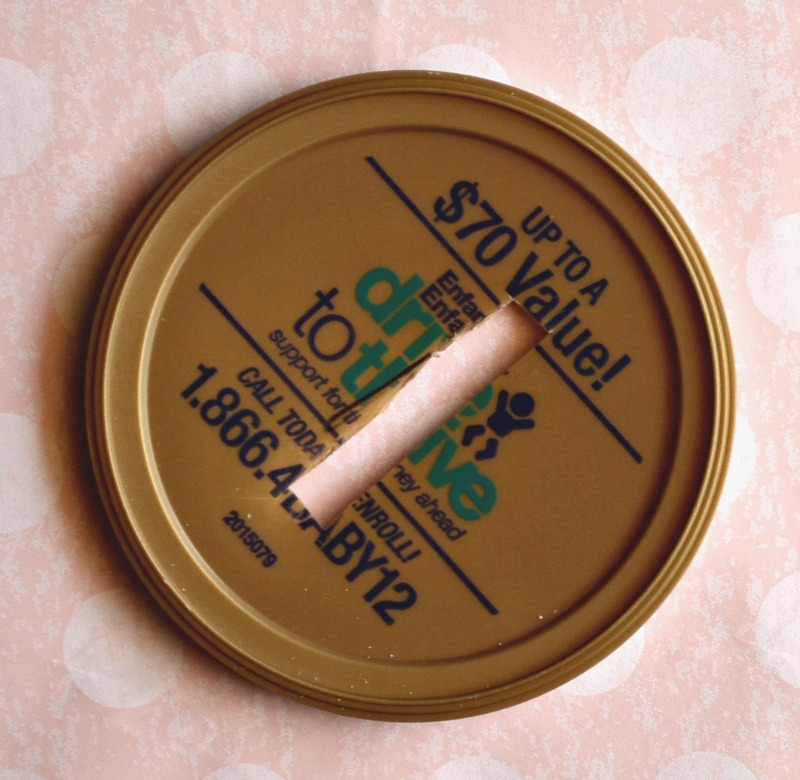 Cut a coordinating circle of cardstock the size of the circle. 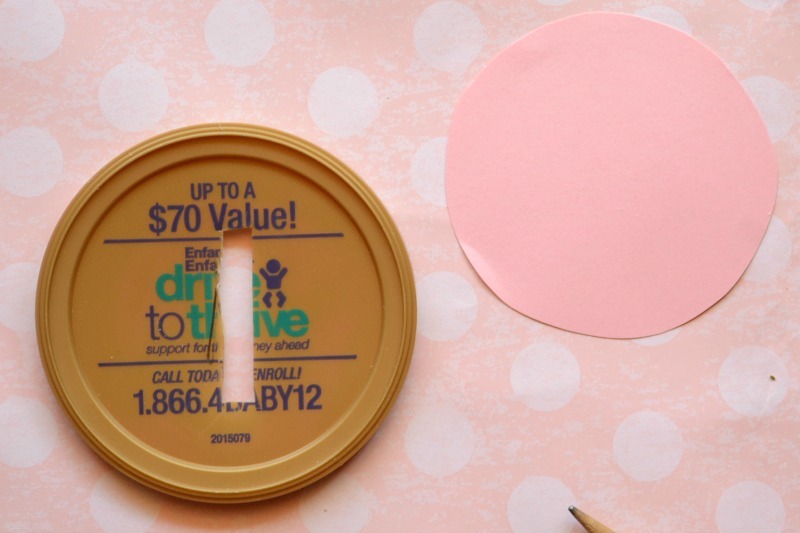 Cover the lid with Mod Podge, and apply a cardstock circle to the lid. Let dry completely. Use exacto knife to cut slit out in card stock. Apply lid to formula can. Use mini clothespin to hold mini chalkboard on ribbon. Right an amount or child’s name on chalkboard. Like my project? Head over to the Fat Quarter Challenge and vote for my Formula Can Piggy Bank! Want to participate in next month’s Fat Quarter Challenge? I have a chance for one of my reader’s to win a two month subscription to the Fat Quarter Challenge! Enter using the Rafflecopter form below! The Fat Quarter Challenge is a fun idea. The philosophy of all participants getting the same materials and coming up with a unique project is an enticement for me. As a craft blogger, the monthly subscription fee is a little high more me. I know how much a fat quarter and a few ribbon strips cost, and $12 is too much for me to justify for these materials. However, for someone looking for a fun challenge who says price is not an option, this is a unique activity. Giveaway open to US and CAN. Fat Quarter Challenge is responsible for prize fulfillment. 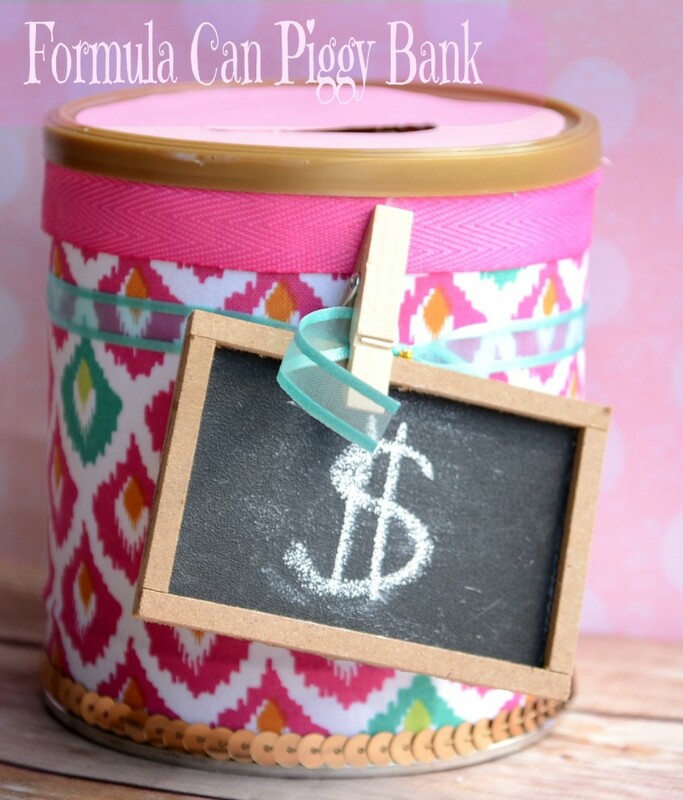 Melanie I LOVE how you’ve turn a formula can into a great piggy bank…genius! This is such a great upcycle, Melanie! I love it! Pinned! 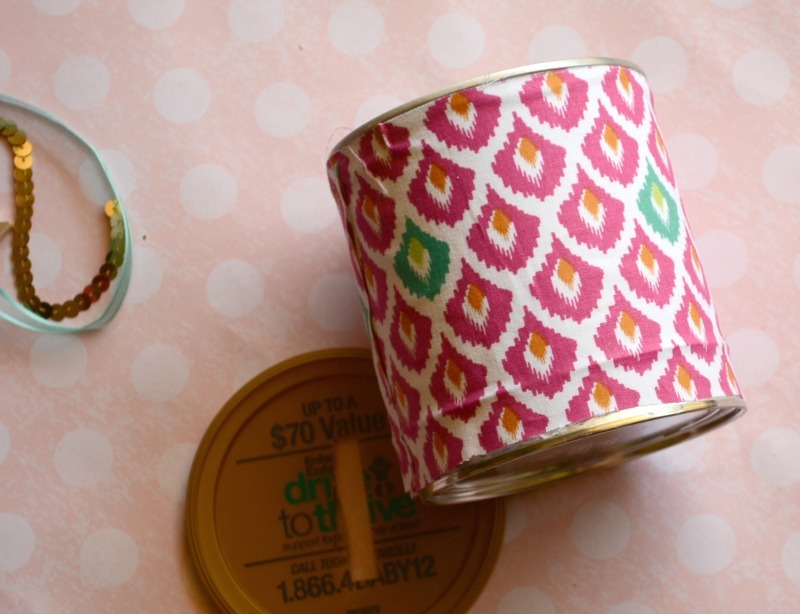 So cute, and great way to use up all of those formula cans! 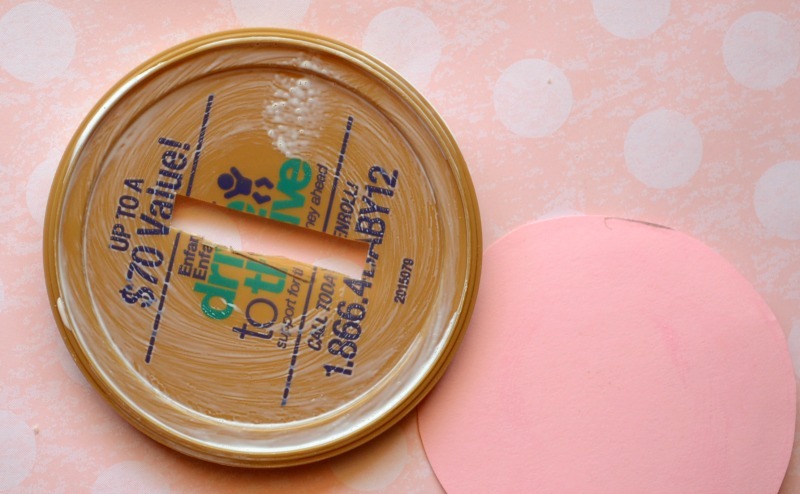 Do you have a hard time throwing formula cans away?! There’s so much you can upcycle them for, I know I would! 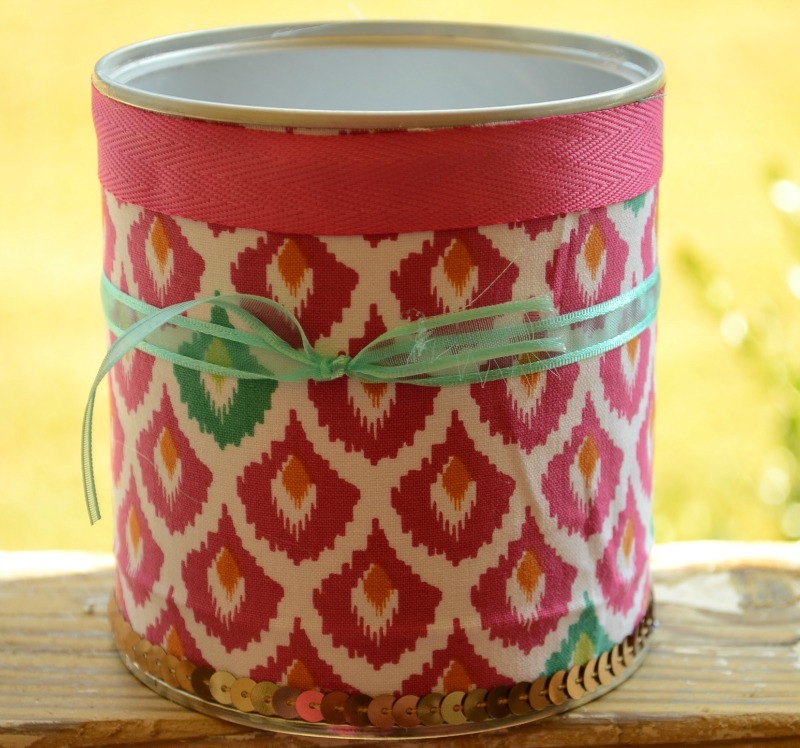 This is awesome- I know my little boys would love plinking coins inside 🙂 Great job, Melanie! I love what you did with your supplies! Such a cute project! I love this, what a cute idea! Sure, Jill- totally ok! Thanks for checking! Just stopped by to let you know that I featured this project on my Top 10 Upcycles of the week!